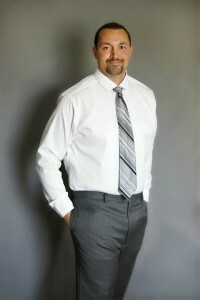 Cory Wilks is a brilliant Realtor and Real Estate Investor who is committed to creating more value than he consumes. He lives his life and runs his business based on win-win philosophies and the virtues of integrity, abundance, love, and respect. He is quite a remarkable character who thoroughly enjoys both the vastness and the nuances of real estate. This talented entrepreneur has mastered the art and skill of sales, negotiations, property valuation, complex real estate transactions, renovation, short sale, private money lending, investment real estate, mortgage lending, marketing, lead generation and technology to empower his TEAM and clients to truly make the best of their unique real estate experience. When he isn’t crushing it in the Real Estate world, Cory enjoys being with his Wife Brandi & their 4 kids going on amazing adventures! As a Realtor, Cory has mastered and systemized the home sales and home buying process and under his supervision homes on average sell faster and for more money than the MLS average. He uses his 80 point marketing plan to real in buyers for his sellers and uses his vast experience to navigate through the sales process with ease and effortlessness. As an investor Cory has the perseverance and clarity of vision that leads his team to success. Cory and team have a remarkable 97% success rate on pre-foreclosure short sales closed a 100% success rate on renovations turned for profit. In the past 8 years he also has successfully closed over 100 transactions. Further Cory is leading his team with his investment prowess to new heights in renovation and wholesale property markets that provide his company with more ways to invest in these turbulent real estate markets. Cory is a full time investor and his Realtor clients utilize his expertise to gain insight into their unique situation and to create solutions to their real estate problems. Cory Wilks uses Private Money to Buy, Renovate, and Sell homes and produces returns that most people don’t think are possible. Fully understanding the concept of Utilization of Money as opposed to Accumulation of Money Cory is a master networker and shares his resources with people, even competitors in the same business, in order to utilize his investor’s money to the highest returns possible. Further Cory networks with and is coached by the stars of A&E’s Flip This House, Than Merrill and Paul Esajian as well as private money lending expert Chris Yates. Together this MASTERY group is able to produce results in the Denver Marketplace that people are in awe of. Cory spent the past 5 years working as a National Speaker for Fortune Builders where he taught new Real Estate Investors how to buy & sell investment properties in this market and how to create passive income. Cory has recently decided to branch out on his own in a different direction (stay tuned for more details). Cory truly is a Real Estate Master!